156432 passes Powfoot on 6 May 2008 with the 13:09 Carlisle to Glasgow Central First ScotRail service. Powfoot is situated on the two and half mile straight section of track to the west of Annan. Note the two pieces of steam age railwayana either side of the leading coach. The 104¾ milepost (from Glasgow) on the left and the gradient post on the right. 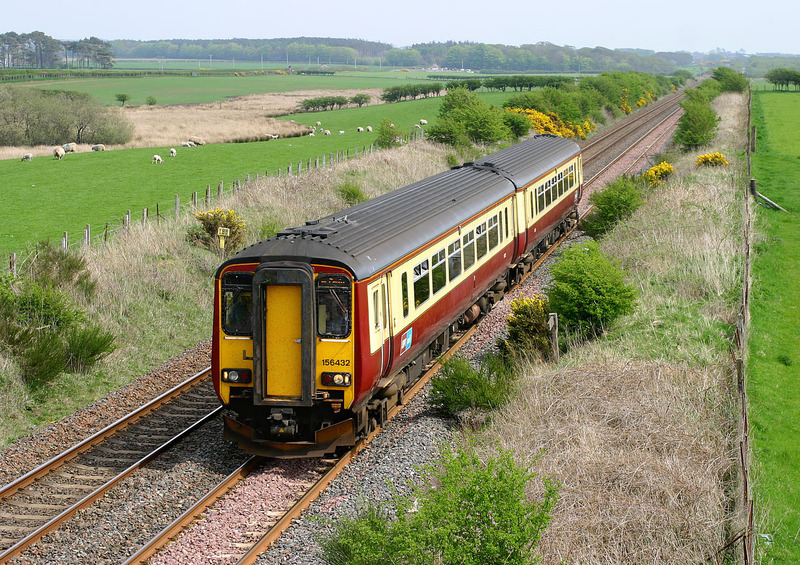 The train service on this line is principally composed of Carlisle to Glasgow services, such as this one, with a few additional Carlisle to Dumfries trains, and two daily Newcastle to Stranraer trains (one in the opposite direction).